LeedsBID enhance their services with Zendesk Leeds Business Improvement District (LeedsBID), is a business-led, not for profit organisation voted for by the city's businesses with an ambitious plan to transform Leeds city centre. Over the last 3 years, LeedsBID has helped to transform the city through the introduction of innovative and exciting initiatives such as its street teams (Welcome Ambassadors, Street Rangers, and Evening Ambassadors ) Leeds International Festival and Summer in the City to name but a few. 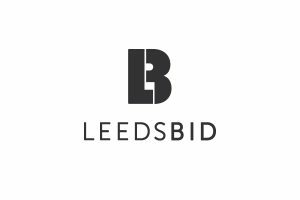 LeedsBID represents close to 1,000 businesses and offers a number of key services to its levy payers – those city centre-based businesses which provide an annual financial contribution to the work of the BID. Effective customer service is key to its work. Netpremacy has a long-standing relationship with LeedsBID – a recent collaborative marketing campaign helped to drive attendance and create a buzz around a Netpremacy event as part of Leeds Digital Festival. Netpremacy suggested the implementation of Zendesk into LeedsBID’s business after a discussion with Simon Gillard, Account Director at Netpremacy. Particular focus was around how LeedsBID handled enquiries and managed aspects of its core services. The team at LeedsBID is always interested in ways to improve efficiency and Zendesk provided the perfect solution. It enables the automated booking of services, and at the same time makes the process more efficient from an administrative perspective. LeedsBID was looking for a way to capture data and manage it more efficiently so that they had more resource for projects, and could also make for a smoother, more efficient service for levy payers. The project was first started in November 2017 and took just 6 months to be implemented (completed 1st July 2018, soft launch). Netpremacy enabled LeedsBID to create a ticket system through Zendesk that handled enquiries and business in a more efficient and effective way. LeedsBID found that implementing Zendesk, with Netpremacy’s customisation suited their needs perfectly. For this deployment, administration training was provided by Netpremacy. Netpremacy was able to provide in-depth practical training to the LeedsBID administration team to prepare them for managing the new support system and allow the team to see how their solution was formed from day one. This approach to training means that LeedsBID now has an in-house team who is able to make changes and additions to the Zendesk based platform enabling them to grow and adapt the platform to be future proof. Agent training was delivered on site by Netpremacy. This training took a relaxed approach so that agents had the chance to ask the questions they needed. The sessions also allowed them to see how the system would operate not only for LeedsBID but also the levy payers. The training of both administrators and agents has allowed LeedsBID to position and manage their own Zendesk platform. The project ran incredibly smoothly and now LeedsBid and Netpremacy are looking forward to a growing and continued relationship for the future. Want to find out how Zendesk can enhance your customer service platform? Contact us.